The new bike uses a longitudinally mounted 90° V-twin typical in Moto Guzzi engines, and not very usual on Motocross bikes, but it looks cool. I think it looks better than the 8291 flat-twin engine. 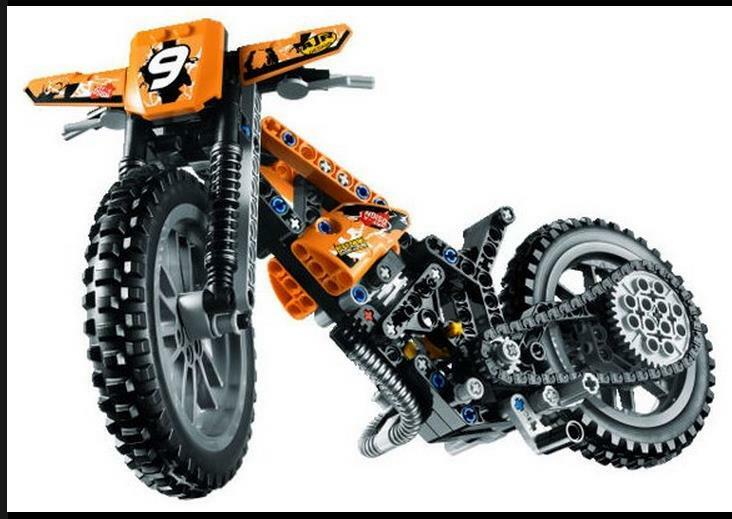 The overall look of the bike is greater then the 8291 (just my opinion), the orange panels look nice and the new tire treads for the 8051 rims seems great! That secondary model is quite nice! 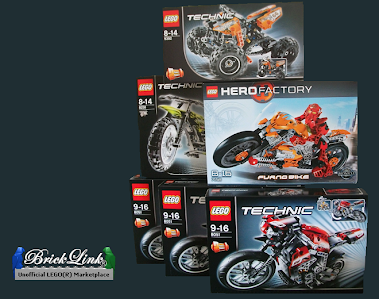 I'm going to get me at least two sets..
B-model looks a bit like an ice-/dirt-track-racer.